Your prices should reflect your costs plus a reasonable profit. But how do you calculate costs and how do you measure a reasonable profit? Many costs are hidden, for example, there’s your time, your overhead, and your training — all of which should figure into the costs of your products. You need to sort through all those calculations to come up with the right price for your merchandise. And after you do this number crunching, will the customer consider your price to be fair, or say, no thanks. Let’s walk through a few calculations that will help you determine your prices. Calculate Daily Overhead. Overhead refers to your fixed costs. Add up your annual rent, insurance, and other regular, set expenses and divide that amount by 365. Direct Costs (Material Costs). Next figure out your direct costs — the expenses directly attributable to the particular item you are selling. If you work with crochet, it would be your yarn and hooks. Labor Costs. Many crafts artists underestimate the value of their time. If you’re not sure what your time is worth, start by multiplying the minimum wage times the number of hours it takes to produce one item. If an employee or independent contractor is making this item for you, calculate the time spent by that worker. This calculation provides you with a valuable piece of information—the number of those particular crafts items you can make in a day. Once you know your overhead, direct costs, and labor costs, figure out your wholesale price. This is the total cost to make the item—that is, the price needed to reimburse you for all your costs. EXAMPLE: A crafts artist produces a selection of leather pouches. He can make six pouches in a day and has a daily overhead of $18. So, the overhead per pouch is $3. The direct costs for materials are $12 per pouch and the labor costs are $8 per pouch. So, it costs approximately $23 to make each pouch. Markup is the difference between the cost of production and the price you will charge your customers. 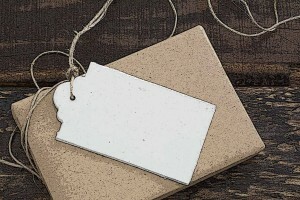 A common method of marking up crafts for retail sales is to double costs (referred to as a 100% markup). So, if your costs per item were $23, you would sell the item for approximately $45. Don’t make pricing decisions based on what you would pay. Research the marketplace and see how similar products are priced. How much profit do you need? Maybe you just love crafts work and you don’t need a generous profit as long as you don’t lose money. If that’s the case, lower your markup to reflect a price that is more appealing to consumers.